Home to Some of Cowboy Action Shooting's finest Cowboys/Cowgirls !!! Brief Intro to the Cowboy Action Shooting World ! What is it all about ?? Take a look at some cowboy action FUN !! Who is coming to the Big Iron Showdown?? 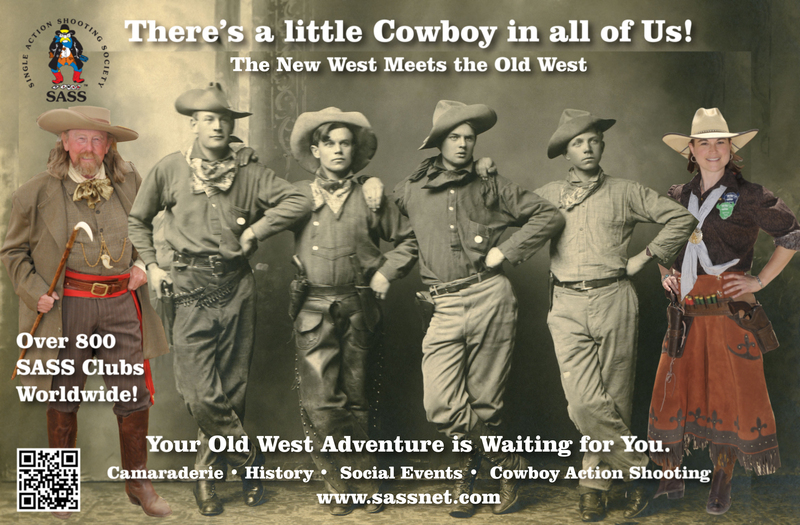 The Old North State Posse (ONSP) club is an affiliate of the Single Action Society (SASS). at the Rowan County Wildlife Association range in Salisbury, North Carolina. FYI - This reflects RCWA's recent per shooter rate increase to $10 per shooter for ONSP matches. Carolina Cowboys Web Site - access the Cowboy Wire option and look under the News & Announcements section. 8:00 9:15 Registration at RCWA Classroom - in maint. bldg. 9:45 10:00 We Start Shooting !! If you are coming by to watch a monthly match, we are usually finishing up by 2pm. Never heard of Cowboy Action Shooting, or looking to get started ?? See our FAQ for New Shooters. RCWA location information, click here. For a Mapquest map of the area, click here. For a detailed RCWA map, click here. Most of the documents linked to the ONSP web site are in PDF format. Adobe Reader, found on most computers, is typically used to read these.